This probably hasn’t received as much attention as it should have in web development circles, but for the past couple of weeks, there have been a huge influx of Drupal websites being hacked. The culprit? A nasty SQL injection vulnerability that exists in Drupal 7.x (and was later fixed using Drupal 7.32). This vulnerability, which goes by the name of SA-CORE-2014-005, can allow attackers to easily inject new users, backdoors / trojans, etc. 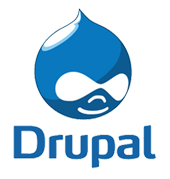 Lists of known Drupal websites are being used, as well as ones picked up from general scanning. If you have DRUSH installed, then scan using Drupalgeddon and Site Audit. Drupal – Fix White Screen of Death!